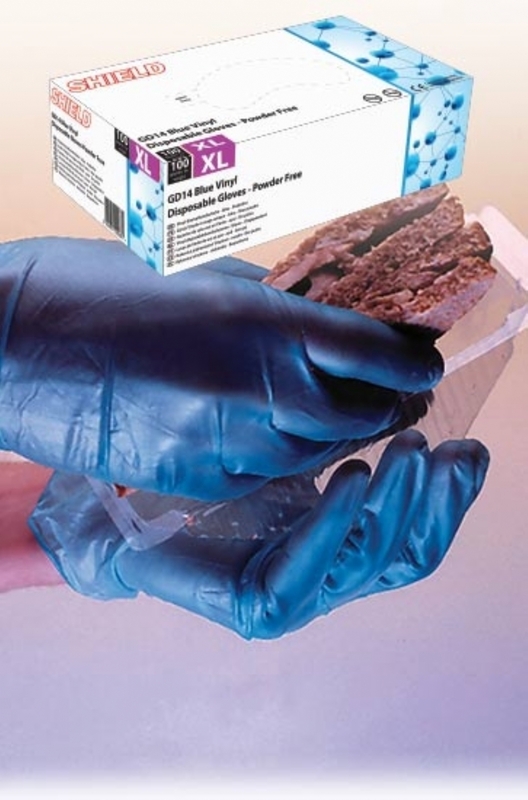 Blue Vinyl disposable gloves manufactured in accordance with European PPE Directive 89/686/EEC and tested to European Standards EN420, EN388 and EN374. Gloves intended for minimal risk applications and designed to offer sensitivity and improved feel as well as a dependable and economical latex free alternative. •Visually inspected for holes and minor defects. •Tested to Food approval EC1935/2004. •Manufactured from blue PVC plastisol. •Typical force at break: 9 Mpa. Order 5 or more at a price of £24.00 per item. Order 10 or more at a price of £23.00 per item.